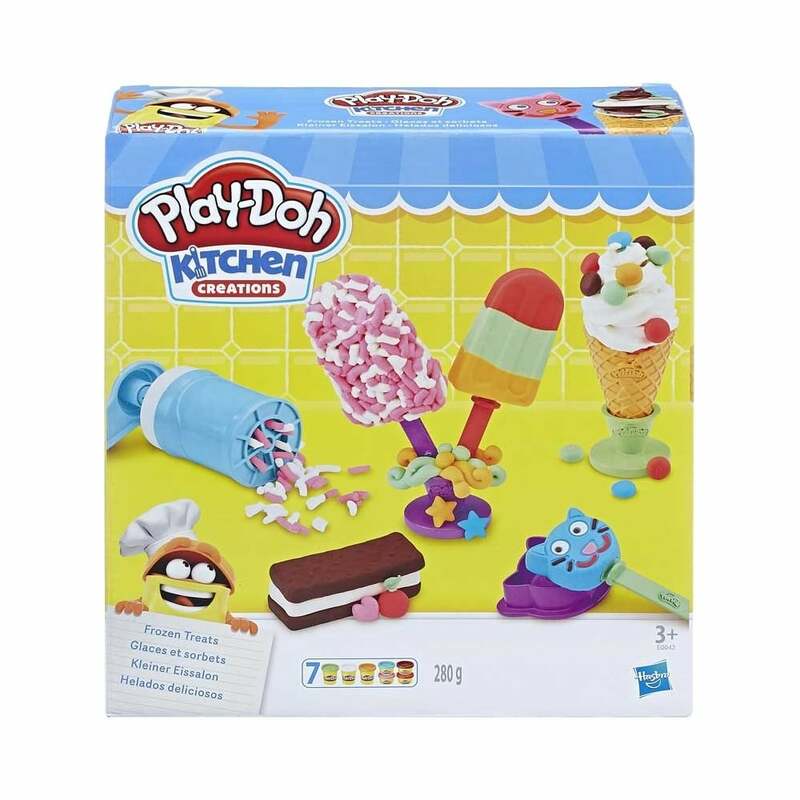 When the ice cream truck isn't around, here's the best way to get the coolest Play-Doh treats in town! Make crazy ice cream cones, silly snow cones, and more with these fun tools. With 2 cookie molds and a textured roller, ice cream makers can create stacks of Play-Doh ice cream sandwiches. With a variety of ice pop sticks and molds, kids can make their own pretend ice pops in any variety they can imagine. There are also unique tools to create multicolor push-up ice pops! The stands feature fun stamps and help keep the cones from toppling over, and don't forget to top off all the creations with silly sprinkles using the sprinkle crank!